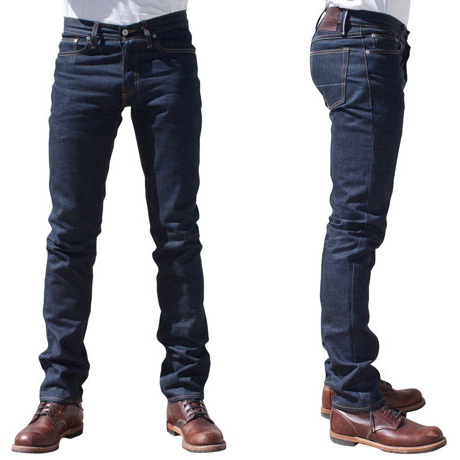 The Okayama Standard remains on top as our best selling Japanese denim of all time. Looking at the absolutely beautiful fades you get from it, the reason becomes pretty clear. Get started on yours today. 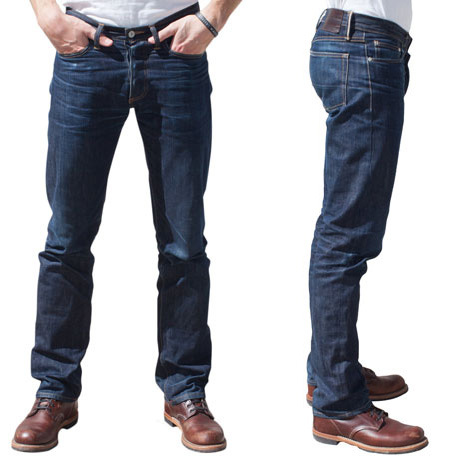 Gustin jeans made from sanforized raw selvedge denim from one of the finest mills in Japan. When we search for a perfect Japanese selvedge, we look for a few key things: solid weight, dark indigo start and the potential to wear to the perfect medium blue with great texture. We saw everything we like in the Okayama Standard. This style is a very solid 14.5oz, starts out raw in a deep blue indigo and wears to the mythical medium blue we all want. The fade shots tell the story. The color is stunning, the grain amazing. It even has a great vertical grain when worn in. 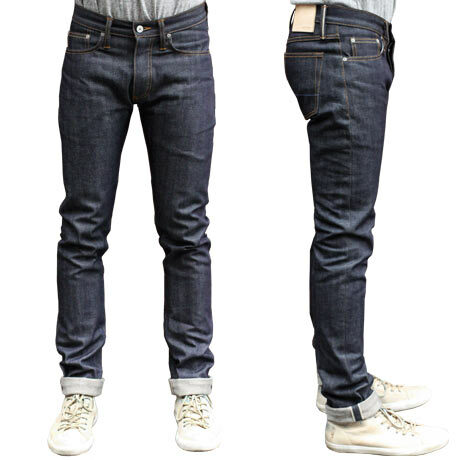 Throw in a very cool double stitch orange selvedge ID and this is a perfect, traditional Japanese denim. Made in the Okayama Prefecture, this one is perfect all around denim.